The list of people profiled by The New Yorker’s Ryan Lizza reads like a “who’s who” of the major political figures of the last five years: Paul Ryan, Rahm Emanuel, Michele Bachmann, and President Obama have all been subject to his sharp scrutiny. For the past 15 years, Lizza has covered politics for such preeminent publications as The New Republic, The Atlantic, GQ, New York Magazine, and The New York Times. On Saturday, Lizza moderated an Institute of Politics panel discussion on the 2012 Obama campaign’s technology and social media strategies. After the event, he sat down with the Maroon to discuss the role of long-form journalism in the digital age, the key to good reporting, and the “Twitterification” of campaign coverage. Chicago Maroon: In a world saturated with information, what’s the place for long-form journalism in the news industry? 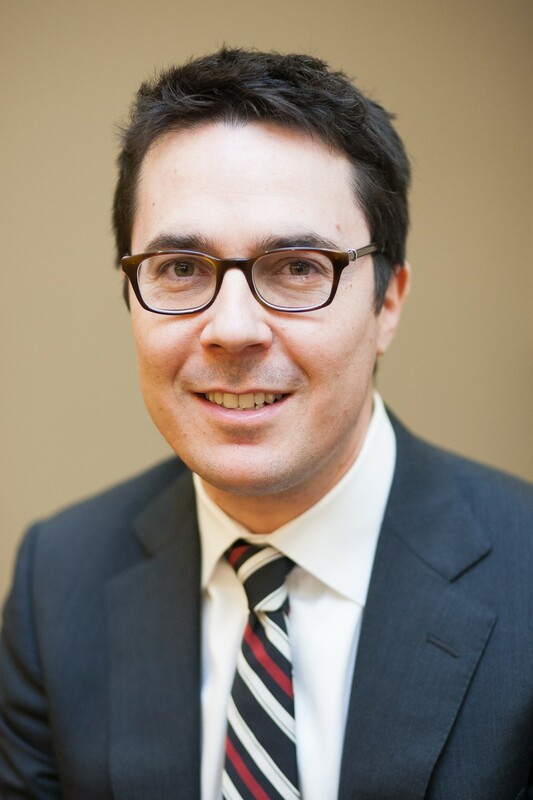 Ryan Lizza: As the Internet has put a little more value on short and quick, and as everyone in the media business, from The New York Times to on-air personalities, has had to adapt to writing short form on the web, and as Twitter has taken over as one of the main sources of breaking news for a lot of journalists...so as that has all accelerated, it has actually created a bit more of a space and market for long-form journalism. Everything is so short and so quick and not deep that all of a sudden in the last four years, there’s been a renaissance for long-form. There have been websites that have been promoting it; there are hashtags on Twitter that promote it. So I actually think there’s been a little bit of rejuvenation. CM: As a journalist, is it more important to learn how to improve your writing, or more important to learn more about the craft of the field? RL: I always tell people that learning to write is not that important. Learning how to tell stories and report are the two fundamentals of long-form journalism. In other words, if you’re a good reporter—and this gets to craft—you go out there and find stuff out that nobody else knows that is important, and you learn how to shape that into a compelling story. Those two tools, those two skills, will get you really, really far, much further than if you spent all your time as an undergraduate taking creative writing classes and being the most elegant sentence writer in the world. So when I do my stuff, the first two legs of the stool are reporting and structure. I make sure that I have an incredibly detailed amount of information, of reporting. The second thing I focus on is how I’m going to shape that into a compelling narrative. I don’t really focus on the sentence writing until I’ve written about 10 different drafts. CM: What kinds of reading do you learn from? RL: Reading lots of long-form stuff and deconstructing it, figuring out how the writer put it together. There are craft books out there, about how to be a good storyteller, that you can learn a lot from. Some of the best stuff I’ve read over the years is screenwriting books. Hollywood cares about storytelling in a way that journalists aren’t taught to care about it. If you’re a screenwriter, you really have to think carefully about the components of story. That’s everything. As a journalist, you don’t have to. Not every piece has to be a masterpiece of storytelling. It helps a lot if you understand those techniques. A lot of long-form journalism, a lot of storytelling, is about the order of revealing information. In a newspaper story, the lead is the most important thing. All of the important information for the reader is going to be in the first paragraph. I would never write a 5,000-word piece that way. Hopefully if I did write it, I would put the most important piece at the end and it would be a shock to learn it. There would be a whole story that would unravel before they learned that. That’s why a lot of people who are trained as newspaper writers have a tough time transitioning to long-form feature writing. The techniques are totally different. Inverted pyramid style of journalism is all about giving a reader without a lot of attention everything they need to know in the first paragraph. CM: How do you think feature writing is changing? RL: A lot of print is going out of business, but as I was saying before...if you put something on paper and mail it out to however many people...if you’re going to spend however much money doing that, the bar for its quality is much higher now than it’s ever been. So in the old days, when that was the only way to distribute information, anything was put on paper. Now, if you’re going to do something like that, it has to be much better than what people can get instantaneously online. I think it’s improved the quality, and I don’t know if this is good or bad, but it’s made it more of a premium product. A lot of magazines are going to that model. If you look at The Economist, which looks at itself as a premium product, it charges a lot of money for the print subscription. Their business model is that people just can’t get that information anywhere else. The New Yorker is similar. You can’t get the kind of journalism we do anywhere else. You’re going to pay for a relatively expensive subscription, because there just aren’t that many outlets like that anymore. I think all of the magazines that are going to survive are moving in that direction: The Atlantic, The New Republic, even Time. Time published something that was 26 pages this week, the longest thing they’ve ever published. It’s gotten more attention than anything they’ve published in 10 years. And so there is a market for a high quality long-form journalist at the high end of the spectrum. As everything else has gone short and ephemeral, it’s created more of a market for long-form stuff to stay with you. This may be more wishful thinking than anything else. CM: The New Yorker is known for its more literary components, so what’s the role of the kind of political journalism you do there? RL: It has to do a couple of things. It has to tell a story that you’re not getting from every other source. It has to be more deeply reported. It has to do it for a general interest audience, so not every reader of The New Yorker reads it for its politics, so you have to make sure that you’re engaging someone who might subscribe to The New Yorker for its theater reviews. You have to think about your audience. You can’t write for Washington insiders, or write for your sources. I always try to remember that I’m writing for a general interest audience. Not every reader cares about politics. It puts the onus on you to find stories, hopefully that have to be important on their own, but hopefully even if the person doesn’t care about what goes on in Washington, they’ll still want to read this story because it’s an interesting story. You don’t always hit that sweet spot, but that’s the goal. You should be able to engage someone who doesn’t read Politico, and isn’t an obsessive political watcher. CM: As a political journalist, do you have a certain kind of duty to the public? RL: So that would be a third component, in that The New Yorker is a special magazine, because we don’t have the burden of being The New York Times. If you’re The New York Times, you have to cover everything that is important in the world, every single day. It’s an incredible burden. If you’re The New Yorker, you have all of the sort of high-minded responsibilities that go along with being a journalist, but at the same time, there’s no expectation that that’s the only thing Americans are going to read. So you have a lot more latitude about what you’re going to publish. But as a political journalist, I’m trying to translate a lot of really complicated national issues for a general interest audience. My last piece, which comes out tomorrow [Sunday, February 24], is about Eric Cantor, the majority leader, the number two guy in the house as the Republican. And he’s been at the center of all of these budget crises that you read about every day, and these are really difficult things to understand. People don’t understand the sequester, and the debt ceiling, and why we keep going through this cycle of fiscal dramas, and so a lot of this piece was trying to explain the last few years of budget battles through this one character. When you write something like that, you feel a responsibility that you have ten pages in The New Yorker that go to a million people. You have one shot to explain this incredibly difficult issue to a pretty big audience. Don’t blow it. CM: You’re known for writing long profiles of American politicians. What’s the most rewarding thing about this more individualist approach to coverage? RL: These politicians are so hidden behind so many layers, that explaining who they are...there’s something rewarding about penetrating those layers and explaining who they are and the ideas that drive them. There’s something rewarding about getting behind the masks that they wear all the time. Usually we can do that at The New Yorker because they often feel like they have a chance to explain themselves in a way that they don’t in a lot of other media. People always want to know what these people are like. You can’t do that at the expense of the important issues. They can’t be fluffy personality profiles. Eric Cantor is in the middle of some really weighty issues. You would be doing a disservice to your readers if it were just about what he’s like at home with his cats. I never found out if he had cats. CM: How is media coverage of presidential elections evolving? RL: Coverage has gotten worse, with some bright spots that we discussed today. The more rigorous, scientific approach to covering the campaigns that Nate Silver gets a lot of credit for in the last cycle, [as well as] other people like Sasha Eisenberg. I’ve tried to do that by bringing in a lot of political scientists to the things I’ve done in the last few years. There’s always more than one thing going on at the same time. The daily grind of campaign coverage has gotten really, really bad. The campaigns, by the way, are just as much to blame. They feed into that, and they use the Twitterification of journalism to their advantage all the time. It’s not the press. There’s a symbiotic relationship between the press and the campaigns in trivializing American politics. Having said all that, there’s also this counter-trend that’s completely the opposite that’s a bright spot, and I think is going to accelerate in the next cycle.